September 1, 2016 by Susan G.
Trust: believe in the reliability, truth, ability, or strength of. Affection: a gentle feeling of fondness or liking. I hope you have had a wonderful summer, whether showing, trail riding, Olympics-viewing and/ or enjoying a well-earned vacation. As usual, time has flown by and it is hard to believe another two months have elapsed since my last post. The quandary is whether to add a newsletter or continue with the blog, as it seems none of us have enough hours in the day to ingest any more e-mails! This one, however, is definitely worth a read. It is a story by guest-blogger and CE Movement member, Melissa Deal. 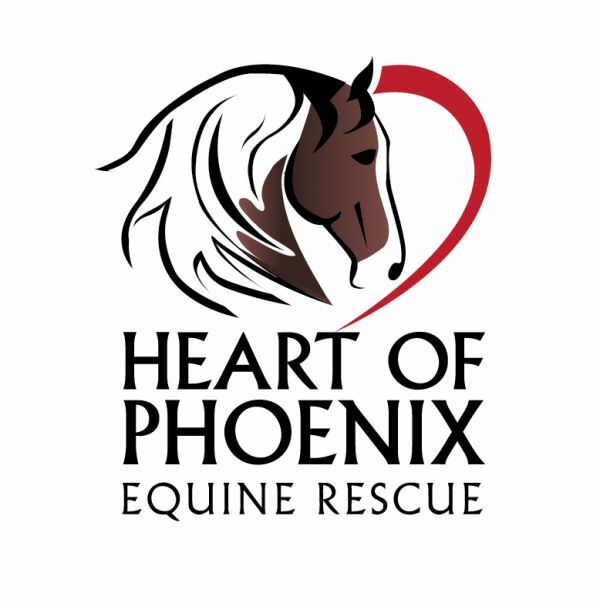 Melissa has taken the message of The Compassionate Equestrian to heart—literally—and put the Principles into real action, as we had hoped many others would also be so inspired. 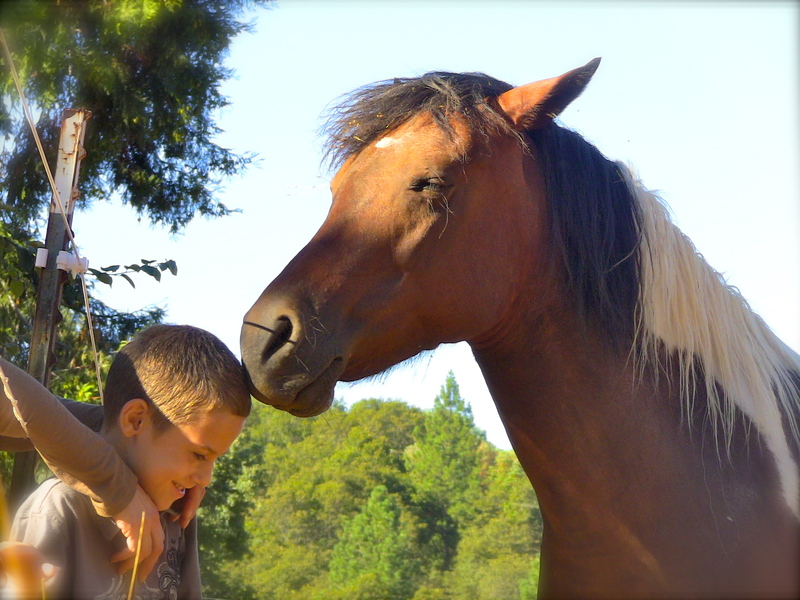 When we think of these 3 important words, “faith, trust, and affection,” we conjure visions based on our religion, our spiritual practices, and perhaps moments with our horses that may have required a considerable dose of all three! Personally, I follow those thoughts with feelings of gratitude and realize just how blessed I am in so many aspects of my life. I believe we all love a great story, and I love the one as told below. Thank you, Melissa! A brief intro: My name is Eclipse Deal. I am big, bright red chestnut gelding with chrome, thank you. I know all about the Compassionate Equestrian movement because they hold meetings here at MY farm. (My mom promised me a farm for Christmas a couple of years ago and I got it! All mine. Of course I share, because she makes me.) I even get to be the centerpiece of these Compassionate Equestrian gatherings and enjoy all of the attention: massage therapy, pictures, body work, grooming demos. Oooooo, just thinking of them makes me feel like I just had a good roll. Did I mention I am a movie star on something called Face Book and I LOVE FOOD? Oh, sorry, I am getting off track. Anyway, I’ve been asked to help out by writing this column called the Mane Say. It won’t be fancy, but it might give you a bit of insight into the mind and life of horses and their people because it is the saying of one with a mane, a horse, that’s me. They say I am not the sharpest knife in the drawer, but my mom says don’t believe it and she has given me the confidence to share my world with you. Ok, I confess, she is helping me – a little – (and I promise not to spook). Hope you enjoy and even if you don’t, I am pretty sure doing this will score me some extra CARROTS, yum, so I am up for it either way! I felt my mom’s energy across the paddock, before I saw her. Bristling she was and it got my attention. She practically marched toward the barn. As soon as she was close enough, I checked her eyes for water. Water in her eyes is a rare occurrence, but almost always leaks out with this kind of energy. I can’t explain why. Eyes weren’t springing leaks, but had the eyes been leaking? I was pretty sure they had. In a very business-like manner she went for the grooming box without hesitation. No sweat, I thought. I had already done my work for the day so this likely meant pure adoration time for me. Yay! Wait a minute. Oh come on. She was going for the tail. Bummer. Not my favorite, but definitely hers. It looks like adoration grooming will have to be after the tail. I don’t know what she does back there exactly, but I heard her friend call it therapy-whatever that means. I think I have a pretty sound understanding of the human language compared to other horses. Some words I just don’t get, though. (This lack of understanding doesn’t bother me since my mom says I am a genius, and I am pretty sure she is right). Out came the tail brush and the show sheen gel. Ever so gently, I felt brush, brush, brush. Rhythmic strokes were interrupted only by the times she seemed to be picking something out of my tail. Slowly, the pictures in her mind became available to me and this is what she shared. Mom, in her dinky black Prius. (Dad says the Prius has something to do with hugging trees. This tree hugging thing is clearly a humanism that I don’t get. Trees are good for scratching though.) She drives down a long winding asphalt path with white fence punctuating each side. Stately oaks frame her view. Then to the left, movement catches her attention. She scowls. Her face is red and her chest thumps as she watches a vibrant young man yanking with great might on a yearling colts lead. To the left her head snaps. A fit young woman throws rocks at the other horses, one of which is trying to get in the mix. The woman is yelling at them. (What were those horses thinking? I mean, I am all about self preservation. Maybe one was the colt’s mom or something?) Then, I felt my mom’s energy shift. In the picture, her face softens and gradually she becomes sad for the suffering of innocent horses. Empathy replaces the sadness and the anger disappears entirely as her car rolls to a stop. She composes herself and prays for guidance on how to influence these unknowing people in way that will be life changing for the horses. (I know mom really puts a lot of stock in praying so this had to be really important to her.) She puts on her best smile. She has a job to do, a mission to accomplish, a lesson to teach and lives to change. She thinks: “this can only be accomplished through influence. Anger will get me nowhere.” To influence will require proof of her ability to guide the rider to the changes they desire, regardless of whether she or the horse find them meaningful. “If I can accomplish this,” she thinks, “then, maybe I can help them see the horse, its mind and its behavior differently.” Perhaps she can soften the hearts of the young man and woman so they can feel their real feelings, not just the ones the world taught them to have. Then they will be free to act from their hearts, the hearts they had as children. She knows they didn’t mean to be abusive. She knows they are well intended. She hurts for the horses. Her heart cracks open and she mourns the state of the humans too. She finished my tail and looked me deep in the eye with all of the love she could hold and with raw emotion stated out loud,” Here’s the thing about us humans. We will judge the actions of others, but we unknowingly do things that are just as terrible, only different, to you horses. What will it take for us to be like you, kind and forgiving more often than not? What will it take to change us? Thank you! Thank you for showing me every day how to help you, others and myself. I am so lucky to have you in my life! I am so grateful that you tolerate me and that you lead by example. (Whatever that means…another strange humanism.) I am undeserving of your trust and affection,” she says. (The last one is a big word. I don’t understand, but I know it’s all good stuff, every word). She gave the cue for a kiss and I very gently extended my neck and reached my fuzzy muzzle toward her pursed lips in a sweet caress. (The sweeter I am the more treats I get!) My muzzle fuzz touched her warm soft skin and she relaxed. (What a relief.) A smile and a carrot instantly followed. I knew that all was well in my world, once again. Somehow it seemed, my tail and I had helped her feel better and in return she made me feel like big warm bran mash does on a frost bitten evening – loved and adored. Delicious! July 3, 2015 by Susan G.
As you read through The Compassionate Equestrian, you will find repeated references to the benefits of as little as 10 minutes a day of meditation practice. We have included exercises in meditation for you to do on your own, and others with your horse/s present, such as while mounting, feeding, and cleaning stalls. We encourage you to take notice of subtle, progressive changes occurring in your own mind and body, and that of your horse, and others in your barn as you expand your practice of quiet, contemplative time. You might wonder what the mechanism behind such changes could be, and question what is going on in the mind and body that effects the long-lasting differences you may be experiencing. We can actually break this down to one very physical component in both human and equine physiology: the vagus nerve. According to author and founder/medical director of The UltraWellness Center, Mark Hyman MD, the scientific studies conducted with aging Tibetan monks has proven that meditation and training the mind can activate the body’s capacity to reduce inflammation through a direct nerve-based connection. As we age, the immune system produces more inflammatory molecules and your nervous system activates the stress response, which promotes further system breakdown and aging. New science is proving that we don’t have to accept the typical course of age-related degeneration because we actually have the power within ourselves to create new cells and re-generate our own tissues at any age! 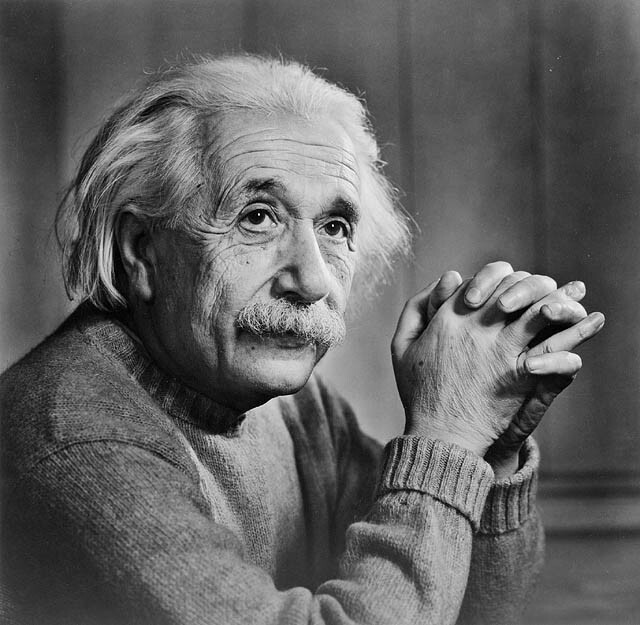 To what do we owe this extraordinary ability? The immune system is controlled by the vagus nerve. It is the most important nerve originating in the brain, traveling to all major organs. You can consciously activate this nerve through contemplative meditation, relaxation, and other practices of ancient wisdom. Essentially, by activating the vagus nerve, you can control your immune cells, reduce inflammation, and potentially prevent disease and aging. Meditation masters such as long-living Tibetan monks have done so, even having emerged from the most extenuating circumstances of imprisonment and torture. With meditation skills they have remained happy and able to give back to the world. “Diane Krause, MD, PhD, from Yale University discovered that our own innate adult stem cells (cells that can turn into any cell in the body from our bone marrow) could be transformed into liver, bowel, lung, and skin cells. (ii) This is a phenomenal breakthrough. Here’s why. So what does this have to do with your relationship to your horse? 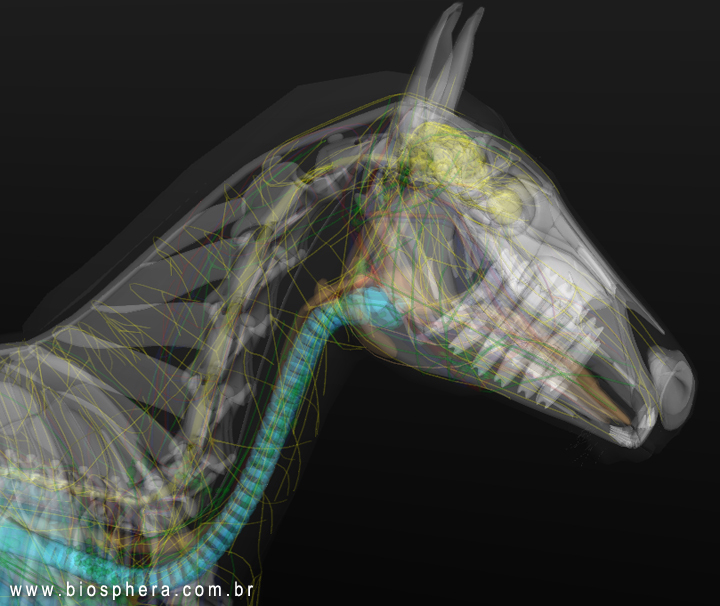 Well, the horse also has a vagus nerve. Does he meditate? Not likely, unless you consider his blissful expression while lolling about in the sunshine or engaging in “mutual scratching” of a buddy. Although, we could also say the horse is a master of meditation, only enlisting his sympathetic nervous system (flight or fight) when absolutely necessary, and only long enough to be out of danger. That is, unless he is pushed into a constant state of stress by his environment or a stressed-out owner or rider! Imagine having such a positive influence on your horse’s health, as well as your own! And there’s more. The complexity of our heartbeat is called heart rate variability (HRV), which is the beat-to-beat variations. The more complex your HRV, the better your health. The least complex HRV is the flat line, for example, and we know what that means. 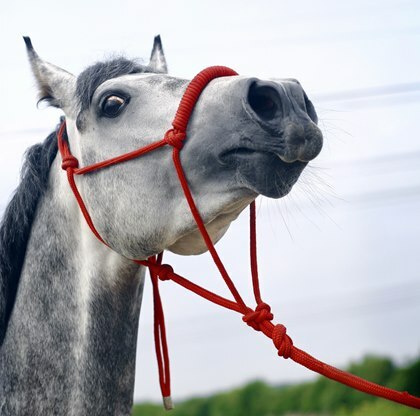 Your HRV, and that of your horse, is controlled by the vagus nerve. Meditation and relaxation helps to increase your variability, leading to better health. This can help tremendously in learning to control your response to stressors from the inside out. We all face stress in our lives, and so do our horses, but it is how we respond to those stress factors that make the difference to our wellbeing. Mental stress also has an effect on another theory of aging, which is that of the protective endings of DNA called telomeres. “Elizabeth Blackburn, PhD, who discovered telomeres, explained that, ultimately, they become so short that the end of our DNA unravels and we can no longer replicate our cells, so they die. Remarkably, mental stress produces a more rapid shortening of the telomeres — and leads to faster aging. In light of this encouraging information about meditation and health, is it any wonder that HH Dalai Lama has a particular wish for his forthcoming 80th birthday? According to Dr. Hyman’s article, if we learn how to work with our bodies rather than against them, we could provide ourselves a good opportunity to live healthy and thriving for our full lifespan, which could be as long as 120 years! So what does HH want for his birthday on July 6th? Given what we have just read about the vagus nerve and activation by meditation and compassion, it seems as though he is offering a gift to humanity, as we are offering the gift of good health and long life back to him. May we all live long, and compassionately, and may our horses and all sentient beings reap the benefits of our compassionate actions. In honor of his milestone birthday, His Holiness is asking people to share photos, videos and quotes depicting people simply treating one another kindly, along with the hashtag #withcompassion on social accounts. 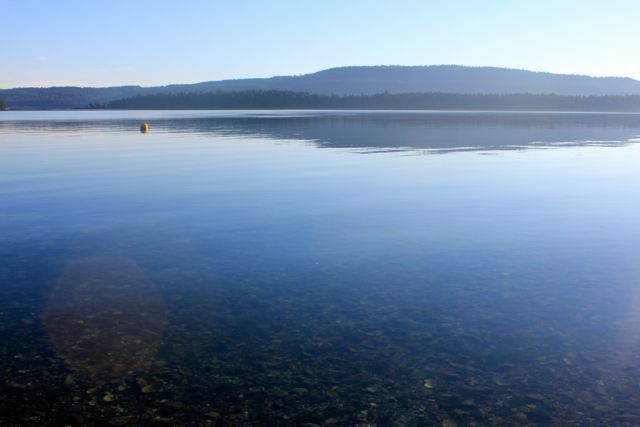 Susan Gordon is 55 years old and lives on Salt Spring Island, B.C., Canada. She turned professional as a rider in 1983, upon the invitation of Maclay champion (1973), the late Michael Patrick. Susan trained eventing, hunter, jumper and dressage horses, apprenticing with other top trainers in her chosen disciplines. She taught freelance from 2002 until retiring in 2010, bringing elements of meditation practice, music, dance, art, and an interest in non-invasive, holistic therapies to her work with students and their horses. She has since completed courses in sustainability (University of British Columbia and University of Guelph), and documentary filmmaking (Pull Focus Film School, Vancouver). She is a nationally ranked competitive masters and age-group runner in the 5K to ½ Marathon Road Race distances. The Compassionate Equestrian is her first book. Her second book also released in June 2015: Iridescent Silence of the Pacific Shores (Gordon/D. Wahlsten 2015), a book of abstract water photography with a strong environmental statement, and DVD featuring original Orca calls and music composed by Ron Gordon, Ph.D.
June 15, 2015 by Susan G.
There are many ways to be called to service. Some perceive a religious calling, while others may discover a passion to volunteer with an organization in disaster zones, or on a more personal level one-on-one. Helping others, whether human or animal, the call to be of service begins with a compassionate heart, and the desire to alleviate the suffering of another. We are frequently bombarded with news about the extreme suffering of fellow sentient beings. We can’t help it these days, thanks to social media and the rapidness with which information travels. Being that negativity is our default mechanism for survival (flight or fight), we tend to gravitate toward the stories that stoke our emotions, for better or worse. For most, the news is a distant item of interest, played out on a high-tech box in front of our eyes. Perhaps we watch while consuming a meal, or in moments of distraction from something else we need to turn our attention toward. But when disaster hits home, the reality of being part of an actual event can be a shock to body, mind and spirit like none other. Becoming trained to respond appropriately in situations of high stress and disastrous circumstances tends to reveal our capacity for leadership and how we act under pressure. Sometimes we can be surprised by the extent of what we are capable of doing when a crisis ensues. With horses, especially as trainers, there is always the need for a leader to emerge and that leader is the one the other/s look to for maintaining order and instigating supportive behaviors when situations are otherwise stressful. People who do not panic even in the worst of times are those who are often the ones who end up saving lives when the opportunity to do so arises. “Servant leaders,” are those who lead by serving others, putting the needs and interests of others ahead of self-interests and needs, whether it be in a group leadership role, or an unexpected emergency. 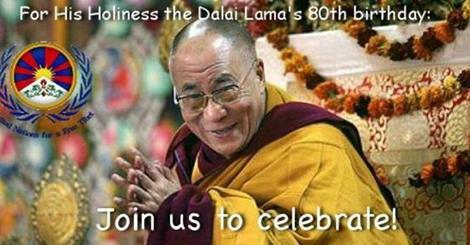 The Dalai Lama is an example of such a leader. Even though he and his people’s exile from Tibet occurred under violent circumstances, he still practices leadership that is based on his principles, and not his feelings. He advocates peaceful resolution, forgiveness, and teaches compassion as the foundation for happiness. Sometimes extenuating circumstances produce leadership in a way we didn’t plan for. Earlier this month, TCE coauthor, Dr. Allen Schoen, attended the inaugural event of the Catherine Violet Hubbard Animal Sanctuary. (http://cvhfoundation.org/) While most of us could never understand exactly what it would be like to experience the terror, shock, and sadness of the inciting incident—the Sandy Hook school shooting in Newtown CT in December, 2012—we can only stand back in awe at the response of the first-grader’s parents who took their child’s dream from a tragic ending to reality. Our horses tend to thrive if we apply the characteristics of servant leadership to them too. What are the qualities of a servant leader? Healer. Servant leaders have the ability to ‘heal’ themselves and their followers through creating a sense of well-being. Foresight. Servant leaders have the ability to foresee consequences of events or actions involving their organization and its members. Stewardship. They are stewards, which means they view their position as having a caretaking responsibility over their organization and members as opposed to dominion over them. Community Building. They are committed to building a sense of community and mutual commitment between themselves, the organization and its members. Most of us lead lives that are extremely blessed with kindness, love, good-hearted friends and much more abundance than we realize. 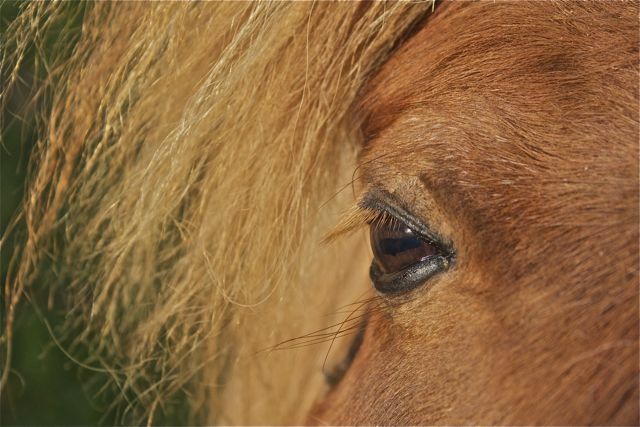 Our perspective of life can shift in the blink of eye, whether on the monumental scale of a situation such as beautiful little Catherine’s parents found themselves in, or our most fundamental interactions with a horse that may need a leader who is aware of serving the needs of that individual horse. Read carefully through the above characteristics again. Can you see how valuable these guidelines are to your interactions with all sentient beings? Can you incorporate these characteristics into your own leadership style, or your communication with others? Think about how you wish to be treated when you turn to someone for leadership in any aspect of your life. May 8, 2015 by Susan G.
Have you ever felt yourself “paralyzed” by fear? It could be mental, physical, or both. Do you think horses experience similar behaviors to our own when confronted with fear-based memories and trauma? The zebra, like the wild horse, will alter his gait, avoid the pain as much as possible, and find a way to cope. He won’t stay still and think about it, knowing he won’t survive too long if he doesn’t keep moving. With humans, avoidance behaviors impact mental and physical health moreso than directly affecting survival skills. It would appear that in mammals with a more evolved cortex and reasoning skills, the body-mind connection is so acute that when we are in fear, both our physical and mental aspects are profoundly affected. In other words, physical pain can have a detrimental effect on our psyche, and mental pain, such as depression, can ultimately manifest as a reflection in our physical state. For the horse that has been adapted to all factors involved with domestication, including time spent in a stall, on an artificial feeding schedule, trained to carry a rider and participate in activities not conducive to the feral state, it may be possible for him to develop the depression, physical deterioration, and a fear of movement that his wild cousins would not exhibit at all. What do we do about this human-created and human-like condition in the domesticated horse, who might have become so traumatized he is afraid to move or undertake an activity? What does that look like in the horse when we are confronted with a sudden change in his behavior that could be trauma and pain related? – Physical example: A young thoroughbred filly was enjoying her first free-jumping session. The beautiful chestnut was by one of the top racing stallions in the U.S. at the time. Her conformation was almost perfect, and she was declared sound upon arriving in the hands of the trainer I worked for. She was successfully jumped through the chute several times, and was willing each time, until, for some reason, she wasn’t. The handler led her into the chute for another jump-through, but this time the filly’s head shot up, her body tightened, and she didn’t want to go. The trainer stepped in with stronger encouragement, and she jumped through, but without the same level of confidence as she previously exhibited. They stopped the session after that, and put her back in her stall. Following that day, the talented young horse refused to so much as step over a pole on the ground. She was subsequently given to me as a “project” to try to unravel what had happened and how to restore her confidence over an obstacle. I had not been present at the free-jumping session and nobody could explain why this horse’s demeanor had changed so drastically in the blink of an eye. – Mental example: Fortunately the chestnut filly’s free-jumping schooling had been video recorded, and I was able to watch the session in which she went from confidently flying over every jump, to balking at even stepping over a pole on the ground in the days and weeks that followed. Physically, it appeared that absolutely nothing had happened to cause any pain or injury. She hadn’t hit anything, stumbled, or refused. She remained sound afterward; at least insofar as standard veterinary soundness protocol was concerned. I watched the video over and over again, trying to see what could have caused the extreme reaction. – How it affects the body: The beautiful conformation of the filly was almost lost to the fact that she completely tightened up after the traumatic incident. No amount of slow, calming, work from the ground or under saddle seemed to relieve her of her stress. I spent countless hours on the ground, eventually getting her to walk over a pole again without panicking. When I began working with her, she seemed to have a perpetual “deer caught in the headlights” expression, her neck held upright and rigid, no matter what setting she was placed in, or how long or briefly she was worked, or whether she was turned out or not. It was sad to see such a gorgeous horse struggling with her deeply rooted fear. We eventually discovered through her previous owner that she had flipped over in the starting gate when on the racetrack. To me, this validated her difficulty in overcoming what seemed like a relatively minor incident at the time. She might have been injured when she fell over backwards, as well as frightened, and her seemingly minor loss of balance through the jumping chute was enough to trigger those memories. The story seems to illustrate just how dramatically unresolved fear might affect the lives of our domesticated horses in ways similar to how it affects human beings. – Physical example: An adult enthusiastically takes up the sport of running, and embarks on a training program with the goal of racing in mind. Overzealously adding too much mileage too soon causes a lower leg muscle to tear, and the pain is intense. The runner doesn’t want to give up though, and returns to activity before the muscle is fully healed, causing the injury to recur, except worse than it was before, making every step an excruciating experience. The time for healing is now doubled, and scar tissue is inevitable at the injury site. – Mental example: Even once healed, the formerly exuberant runner might now be afraid to run. As with the equine version of kinesiophobia, the response to the memory of pain that occurred while running is now causing the person to fear returning to the activity they were undertaking when the injury took place. – How it affects the body: As with horses, an injury on one side of the body can have a domino effect on other physical structures in the way of compensatory issues. 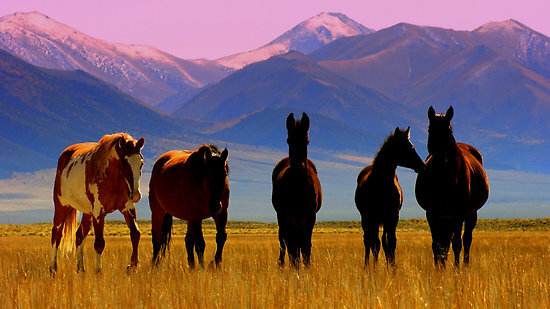 Humans can explain using words as to where something hurts and how much, whereas the horse cannot. Oftentimes, however, we experience the outbursts and moodiness of a human who may be in pain, but we are personally unaware of the pain they are feeling. This is not unlike a horse in pain, and how we might experience the aftermath of unresolved trauma in the animal in the way of extreme or uncharacteristic behavior. Gait anomalies may develop over time, as the stronger leg is favored while the injured leg is still healing. There may also be residual pain and discomfort, as nerves that are in the process of healing can fire spontaneously and make you wonder if the injury is in danger of recurring. The same thing likely happens for horses, and a bout of pain, even if temporary, causes a stress-response including an elevated heart rate and the release of stress-related hormones into the bloodstream such as cortisol and adrenaline. One of the key issues to resolving kinesiophobia is in understanding that not all pain is “bad.” It is the body’s way of protecting itself and doesn’t always mean that harm is being done. Sometimes it is also part of the healing process, or under normal load-increasing exercise protocols, it can be a part of the building up of muscle tissue. Imagine punishing a horse like the chestnut filly in the example above, or being yelled at by your coach because you didn’t perform your best. Maybe you were a child and a parent made you feel guilty for spilling grape juice on the rug, or not getting high enough marks in school. These childhood incidents, which may not seem as traumatic as something like the young filly’s terrifying flip-over in the starting gate, can remain locked inside and ready to surface at the next level of provocation. Chronic, unresolved feelings of guilt and shame can become just as painful as an incident involving physical trauma. When you see someone who appears to be depressed and “curled up” into themselves—perhaps with rounded shoulders, gaze dropped, and lackluster step—they could be experiencing the paralyzing effects of long-held traumas and are literally in fear of moving forward with their lives, in both a mental and physical sense. The horse’s body language could be similar, if not outright lame, due to residual tightness and subsequent weakness in one or more areas of the body. Mentally, it can manifest as “stubbornness,” a “bad attitude,” spookiness, or a flat-out refusal to move when under saddle, even when all possibilities for pain such as ill-fitting tack, bad shoeing, and other soundness issues have been addressed. Whatever happened to us, or to the horse, we have to begin the healing process by accepting where we are now. We cannot rush the restorative work, because it is unique to each individual, and we cannot presume to know everything that led to the consequential mental and physical responses following the traumatic event or events. We, as humans, are easily caught in long-term fear, as avoidance mechanisms become finely tuned. We get good at it. Even for physiotherapists, treating patients with the condition is difficult and hard to adequately assess, even though research has shown it is present in a significant proportion of their clientele. Horses are likely subject to similar losses of safety and when kept in a confined, domestic situation, chronic fear and kinesiophobia may be retained, as their instinct to keep moving has been restrained by their unnatural environment and training. Their mental and physical rehabilitation process is not unlike that for humans as well. As we know all too well with horses, if they feel unsafe and do not trust us as a rider or handler, their fear remains, but may also be exacerbated if not re-schooled with great care and skill. Improving proprioception…the body experience. What is happening in your body when you feel the emotions relating to the trauma. Thinking about moving is not the same as actually moving, so it has to be undertaken one tiny step at a time. The common denominator is in slowing things down—and consciously creating a new neural pathway based in mindful movement. Backing off the training and intensity, finding a baseline tolerance that will not trigger the kinesiophobia, and planning a careful course for progression, are the steps to gaining trust and beginning to feel safe once again. This applies to horses and humans, and addresses both mental and physical aspects of the fear. With a process of graded exposure, it is possible to re-establish the desired activity with a joyful approach and fresh enthusiasm. The brain literally rebalances, reducing the anxiety, fear and pain, and instead sends out more positive messages relating to the chosen activity. This is a form of coping strategy that can help horses and humans move forward in their lives, literally, by overcoming their fear of movement and releasing the fear that initially shut them down. More research is needed to help us understand how much of a horse’s resistance might be related to fear of pain versus how much resistance is related to actual pain. Studies that involve heart-rate variability in real-time could potentially provide us with better answers than we have now, by providing data that conveys obvious levels of stress in a being that is unable to verbalize his feelings. We hope this will be a positive step in the direction of improved equine welfare and lead to more compassionate training methods in the future. In effect, the research will likely help us understand how to cope with our own fear of pain, both mental and physical, and become more compassionate toward other humans too. Susan Gordon is 55 years old and lives on Salt Spring Island, B.C., Canada. She turned professional as a rider in 1983, upon the invitation of Maclay champion (1973), the late Michael Patrick. Susan trained eventing, hunter, jumper and dressage horses, apprenticing with other top trainers in her chosen disciplines. She taught freelance from 2002 until retiring in 2010, bringing elements of meditation practice, music, dance, art, and an interest in non-invasive, holistic therapies to her work with students and their horses. She has since completed courses in sustainability (University of British Columbia and University of Guelph), and documentary filmmaking (Pull Focus Film School, Vancouver). She is a nationally ranked competitive masters and age-group runner in the 5K to ½ Marathon Road Race distances. The Compassionate Equestrian is her first book. Coming soon will be Iridescent Silence of the Pacific Shores (Gordon/D. Wahlsten 2015), a book of abstract water photography with a strong environmental statement, and DVD featuring original Orca calls and music composed by Ron Gordon, Ph.D.
March 25, 2015 by Susan G.
Mindfulness is a method of paying attention to ourselves, and the small details of habits, thoughts, and behaviors that affect our interactions with others. We come to know ourselves better, and understand the basis for feelings that may sometimes pull us into negative territory. You may recognize the feelings as the cause of agitation, pain, embarrassment, frustration, sadness, confusion, or any number of other identifiers. When these emotions arise, it is generally because there is a deep need that is not being met. Something is missing that is blocking your joy and happiness. Mindfulness affords us the opportunity to observe our mental experiences and change the way we respond to them. Unfortunately, our analysis, especially when it comes to our riding and our horses, can become very self-critical and judgmental. When we are hard on ourselves, and seeking a high standard, we can have the reverse effect of positivity and instead appear to become obsessive or unrealistically engaged with our self-image. Mindfulness practice allows us to observe, but also cautions against self-judgment and realize our need to disengage from negative thoughts and emotions. It is about training the brain to respond in a kinder, more compassionate way. When we have that “intimate knowledge” of our horse, we usually know how the day’s training session might progress based on the horse’s apparent mood, or when he may need a day off. When we go to a horse show, we go with the knowledge that we will be judged by the standards for that breed and/or parameters for that particular discipline. If the judge’s opinion doesn’t meet our expectations, or the horse has a bad day, the ability to respond mindfully and kindly can make a huge difference as to how productive training rides and horse shows will be in the future. Take the horse out of the picture for a moment, and visualize how you feel when somebody makes a critical statement about you. Perhaps you are told you are judgmental, even though you had no intention of sounding that way. Maybe you are accused of being angry or impatient, but what you’re really feeling is disappointment and a sense of helplessness. When we communicate with an awareness of the unmet needs behind those feelings, we come to accept that those experiences are part of being human, and perhaps it is that we are seeking understanding, consideration, and emotional safety, but were unable to effectively convey such needs to the other person, or even recognize those as our own needs in order to feel more compassionate and caring. When we are not familiar with our imprinted patterns of communication—let’s say “the aids” in reference to communicating with your horse—it is easy to be misconstrued by another, and we end up ping-ponging hostile words, thoughts, or kicks and rein-pulls, at one another until finally one or the other, or even your subconscious self, ends up hurt and in retreat without an effective resolution. Many people go through life in somewhat of a “trance,” existing, but not really being vital and alive. The one thing about being around horses is that they connect us to a present moment, to nature, and to the need to be vitally energized, yet calm, as is their natural state when roaming freely with a herd. We humans are constantly shuffling from one emotion to another, one desire to the next, and other preoccupations. When we step back and observe what brings us into conflict with ourselves, other people, and even our horses, we may see how easily we inflict pain on others, as well as how distressing it is when somebody behaves in such a way toward us. There is also an awareness that arises as to how little it can take, even as much as a smile, a thank you, or a pat on your horse’s neck, that can brighten the day or change somebody’s mood for the better. Being with a horse is a glorious opportunity to practice mindfulness. Watching and learning from them, and observing how they respond to our moods, behaviors, and actions, is a chance to put that awareness into action in all of our daily activities. By doing so, we will ultimately make ourselves feel better, and enrich the lives of others around us with compassion and loving kindness. Susan Gordon is 55 years old and lives on Salt Spring Island, B.C., Canada. She turned professional as a rider in 1983, upon the invitation of Maclay champion (1973), the late Michael Patrick. Susan trained eventing, hunter, jumper and dressage horses, apprenticing with other top trainers in her chosen disciplines. She taught freelance from 2002 until retiring in 2010, bringing elements of meditation practice, music, dance, art, and an interest in non-invasive, holistic therapies to her work with students and their horses. She has since completed courses in sustainability (University of British Columbia and University of Guelph), and documentary filmmaking (Pull Focus Film School, Vancouver). She is a nationally ranked competitive masters and age-group runner in the 5K to ½ Marathon Road Race distances. The Compassionate Equestrian is her first book.